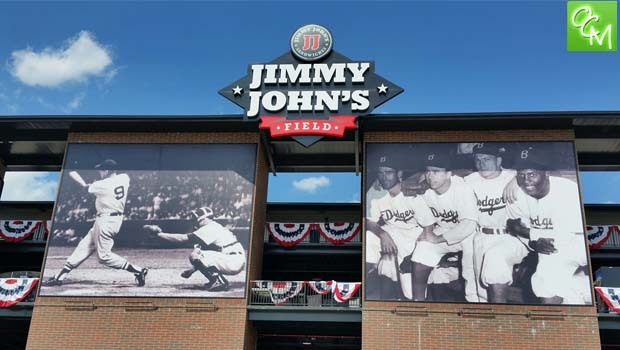 Jimmy John’s Field Tickets Contest – Enter to win 4 Grandstand tickets to see exciting USPBL baseball at Jimmy John’s Field to any game of your choosing courtesy of United Shores Professional Baseball League, Jimmy John’s Field, and Oakland County Moms. We’re giving away Family Fun Packs away all summer. Winners will receive 4 Grandstand tickets (see restrictions below). e-mail me at lisa@oaklandcountymoms.com. Put Birmingham-Bloomfield Beavers in the subject line and don’t forget to include ALL of your contact info (name/e-mail/phone #). Please let me know if you’ve completed steps 1-3. I’ll accept entries through Wednesday, May 8, 2019 and draw/notify a winner on Thursday, May 9, 2019. Winners will be instructed how to pick up their Family Fun Pack of tickets. The winner will receive vouchers for 4 Grandstand Tickets to an upcoming USPBL game of their choice at Jimmy John’s Field. Games based on availability – call early for best selection. Expires 9/8/19. You can add additional people to this prize package for a fee. May 9, 2019 Winner – TBD Enter TODAY! Catch the Birmingham-Bloomfield Beavers, Eastside Diamond Hoppers, Utica Unicorns, and Westside Woolly Mammoths this summer while you enjoy affordable family fun at Jimmy John’s Field. Parking is always FREE. See related posts below for the awesome promotions USPBL is hosting this summer!